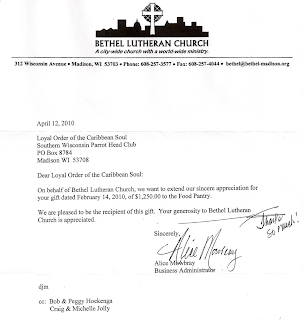 Belatedly, the thank you note from Bethel Lutheran Church Food Pantry for our $1,250 donation. It should be noted... 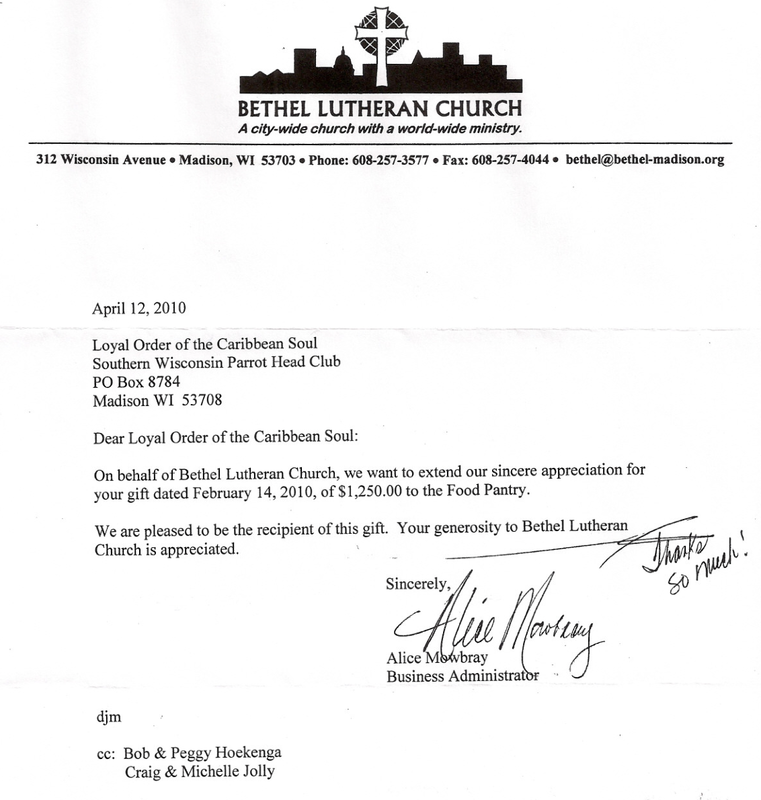 The belated refers to me (jon) getting it on the website, not Bethel Lutheran, they got us the thank you promptly. Wisconsin Trop Rock in June!